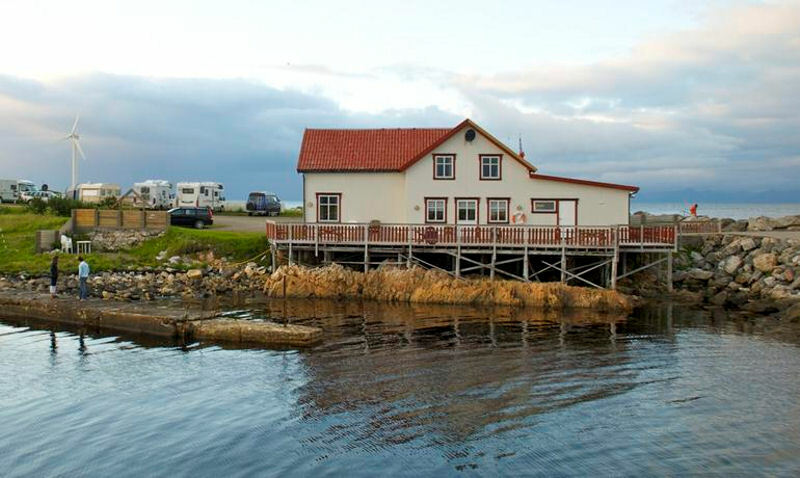 Kvalnesbrygga is located by the sea on the east coast of Andøya. The house was first built in early 1900's as a telegraph station, store, ship handling and Fish prosessing. Fully restored in 1991. Now 6 rooms, Kitchen and a large living room with TV lounge. Free Wi-Fi. Also camping with electricity, sanitary rooms and Kitchen. NB - Vi mottar ikke og lagrer heller ikke informasjon om kunder på vår hjemmeside - jfr GDPR retningslinjer.